Editor’s note: This column is part of our Best Stocks for 2017 contest. Ken Trester’s pick for the contest is Citigroup Inc (NYSE:C). 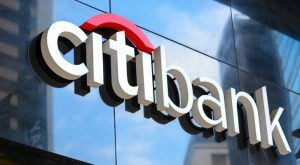 Back in April, I mentioned that I liked Citigroup Inc (NYSE:C) because it’s one of the most undervalued bank stocks and has the best chance to appreciate. Its total assets are very large, compared to its market price, and its price-to-book-value back then was around 0.80. Now, the price to book value is around 0.96. Citigroup has performed well over the past few months, with the bank maintaining deposits of $307 billion and a retail loan book of $142 billion, which reflects year-over-year growth of 3% and 1%, respectively. I also noted in April that Citigroup shares were in the process of consolidating. I predicted C stock was going to make another big move by the end of 2017, and with the stock now trending around $74 here in September, we’ve seen a 25% gain since the beginning of the year. In July, I discussed the surge C stock was experiencing, with the best part being it had room for improvement. However, Citigroup’s gain in the early portion of the summer was not generated as a result of a fundamental shift in terms of gaining new customers by organizing better business opportunities. Instead, C’s rise was due to the Federal Reserve allowing it and 33 other big banks in the U.S. to release more of its capital to shareholders after passing the central bank’s stress test. More recently, Citigroup gained a little more assistance from the Fed when it announced that it would begin to normalize its balance sheet, with C’s shares rising by 1.1% as a result. Since then, Citigroup’s gains have become more organic. C stock has seen a rise in transaction advisory revenue, increased loan books and operations, all in part due to the company’s rising global presence. Citigroup currently owns or leases around 57 million square feet of real estate, including over 7,900 properties in 94 countries. With widespread land at its disposal, C recently announced that it is making a commitment to renewable energy for all of its global energy needs by the year 2020. In China, C intends to increase its revenue growth by utilizing Beijing’s Belt & Road initiative. The initiative was announced in 2013 with the goal of building infrastructure between Asia, Africa, Europe and elsewhere. China is currently one of eight Asian markets that generates revenue of over $1 billion for Citigroup and, in February, C became the first U.S.-based bank to obtain a license acting as a bond settlement agent in China’s interbank bond market. In Europe, Citigroup recently named Arnaud Marès, a key adviser to European Central Bank President Mario Draghi, as its top economist, with his official start date set for early December. The hire of Marès comes in the wake of the European Union introducing new trading rules in early January 2018 that will impact the way banks will be able to sell their research to fund managers. Marès will be brought in to take over the economics research team in Europe, the Middle East and Africa. The European Union’s announcement introducing new trading rules comes on the back of Federal Reserve Chair Janet Yellen stating in August that she doesn’t approve of the Trump administration’s proposal to lift bank regulations. The Republican-led U.S. House in congress passed a bill in June to replace the Dodd-Frank Act, which puts federal regulations in the hands of the government, and it’s been picking up bipartisan support in the Senate over the course of recent months. The possibility of the Dodd-Frank Act officially being replaced certainly works in the favor of C, as the bankers are hoping for more financial-friendly regulation. EU and U.S. officials are currently in negotiations for a transatlantic regulatory deal to prevent Mifid II rules from dividing securities and derivatives markets. A new deal between the EU and the U.S. will go a long way in determining how services to clients concerning bonds, shares and financial instruments are distributed, all of which certainly impacts Citigroup. If a new deal is not in place between the EU and the U.S. by the time Jan. 3, 2018 rolls around, the EU will be forced to use its own listed instruments and markets. The EU’s instruments and markets are less sought after and less liquid than the U.S., which could cause additional volatility. How Long Will Citigroup’s Momentum Continue? However, all of this aside, with all of the momentum Citigroup has been gaining, some investors likely wonder how long C can keep this up. Citigroup’s outlook is still favorable when you compare it to Wells Fargo & Co (NYSE:WFC), which has taken a nosedive in reputation. WFC announced earlier in September that it opened 2.1 million to 3.5 million fake accounts from 2011-2015 along with enrolling customers in online bill pay without their consent. In addition, Wells Fargo provided unauthorized auto insurance, changed mortgage payment terms and withheld insurance refunds all without the consent of the customers. For investors who are looking for a promising alternative to WFC, buying into C would be a good option, as Citigroup shares are poised to keep climbing for a long while before the tainted reputation of Wells Fargo improves. InvestorPlace advisor Ken Trester brings you Power Options Weekly, which delivers 5 new options trades and his latest trading advice to you each Friday. It’s the perfect ‘bridge’ between investing in ordinary stocks and the turbocharged world of options trading. Try Power Options Weekly today and receive 2 weeks for the price of 1 for only $19.95. Ken Trester is also editor of the popular Maximum Options program. Trester has been trading options since the first exchanges opened in 1973 with a winning streak that goes back to 1984 with money-doubling average annual profits since 1990. Article printed from InvestorPlace Media, https://investorplace.com/2017/10/best-stocks-citigroup-inc-c-trend-up/.